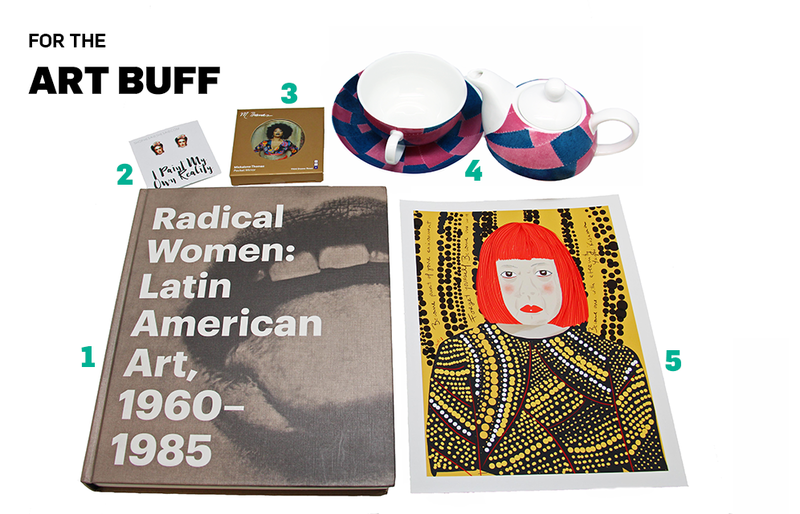 It’s no secret: NMWA’s Museum Shop is a local favorite for fun, funky, and fresh gifts from women owned companies around the world. 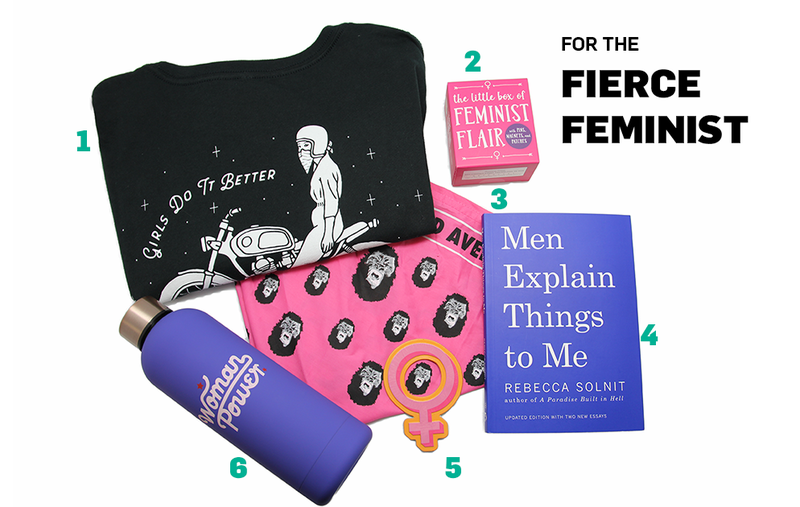 We rounded up our favorite products to help you find last-minute gifts for the art-loving feminists in your lives. Visit the shop Monday–Saturday 10 a.m.–5 p.m., and Sunday 12 p.m. –5 p.m., and buy select products online. Museum members receive a 10% discount on purchases both in-store and online. NMWA’s first fashion exhibition, Rodarte, is on view November 10, 2018-February 10, 2019. 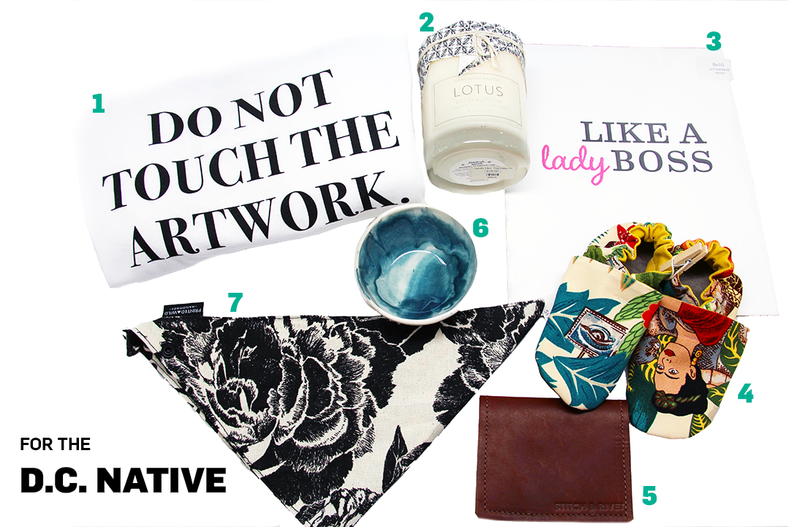 Shop small, buy local from these beloved D.C. brands. 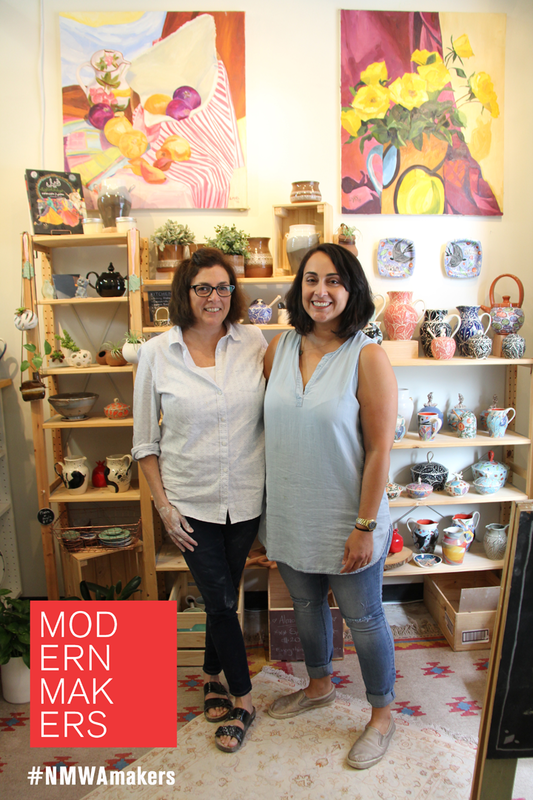 Kuzeh Pottery, which gets its name from the word “vase” in Persian, is a teaching and production studio owned by Pegah Shahghasemi and Lisa Ramber. Located on the Arts Walk in Northeast Washington, D.C., Kuzeh’s studio and retail space feature white and brown stoneware. PS: I’ve always loved doing pottery and I took it a little bit in high school and then in college, but then I left it alone. . . . After I had my first daughter, I needed to do something that was just for myself and outside my regular nine-to-five job, and outside of the home. I found a small studio close to my house in New York City. I started taking classes and I got addicted. I couldn’t stop. LR: I got started as a potter after a friend of mine convinced me to take a pottery class. I started and I hated it. 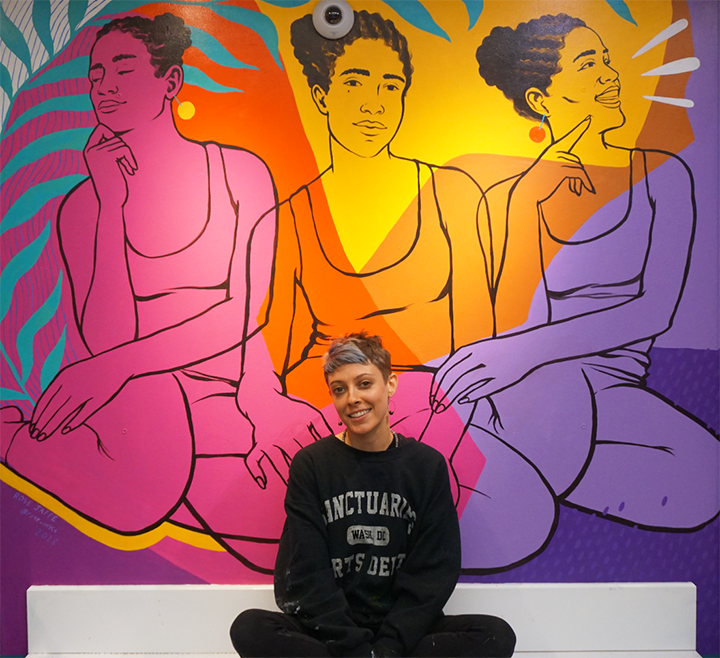 After about six weeks, I loved it. . . . Then I found a D.C. studio that had a resident artist space. That is where I met Pegah. And one day I said, “Gee, wouldn’t it be great to have a studio?” Four months later this arts walk opened up the studio. PS: I really like Middle Eastern designs and I look at a lot of Persian architecture. I like patterns and I like simplicity. So I look at them and try to make them a little bit more modern and apply it to my pieces. LR: Color is a big influence for me. I love the creative process, taking a lump of clay, trimming it, and then doing something to it that I think makes it look unique. PS: I personally would like to see our company evolve to become a recognizable brand. I think we create a product that is colorful and alive, and we put our hard work into it, and we use our hands to make it. I think it would be so nice to know our work was in people’s homes. 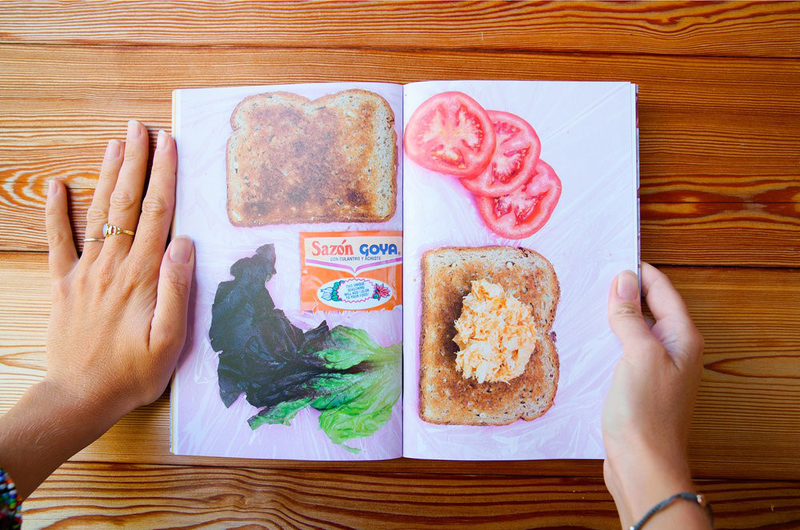 PS: I was inspired by Candida Alvarez’s “Puerto Rico” series in Magnetic Fields. I really like the cool colors and bits of red she has in the work. She uses chartreuse and line work in many of her other pieces. LR: I was inspired by Sylvia Snowden’s work, and the looseness of the brushwork and the bright, saturated colors. It’s not the colors of a traditional landscape, but it felt landscape-y to me still. Browse the Modern Makers products on Museum Shop’s website, including the limited-edition ceramics by Kuzeh. Browse #NMWAMakers on Twitter to see more creations. Sharlaine Anapu and her company are based in Washington, D.C. Anapu designs and produces handmade jewelry. I took a four-week fabrication class at the Art League. After taking that class I realized art making was something that I wanted to continue. I started taking classes at the Corcoran. They had recently started a jewelry program there, so I started taking those classes too. I think for me a lot of it is innate, what I like aesthetically. And in the past, I kind of gravitated more to very organic, natural pieces. But lately I’ve been trying to incorporate a lot of things that are important to me like my heritage. I’ve been trying to infuse some of the tattooing designs that are used in Samoan culture into my work. What does the word “maker? mean to you? To me it’s somebody that uses their hands to create something. . . an idea that they’ve thought up themselves. That’s how it comes across to me—being able to create my own work, to produce my own designs. I would love to be doing this full-time. Even though I do jewelry, I always think about other products, other things that I could make. I have always been interested in leather belts and leather bracelets. Maybe in the future I could incorporate my jewelry making skills into leather designs and leather goods. I think networking with people and the community is a really good way to find out about shows and come up with ideas. The other women that I share the studio with, we always try to brainstorm with other makers and artists in D.C.
Magdalena Abakanowicz’s 4 Seated Figures made me wonder what the artist was thinking when she created it. It’s a phenomenal work of art. I visited the She Who Tells a Story exhibition and those works really inspired me. I thought about using a dog tag as an object of identification and incorporating my heritage into that. I used tattooing—an important aspect of my culture—on the dog tag to make a great piece. 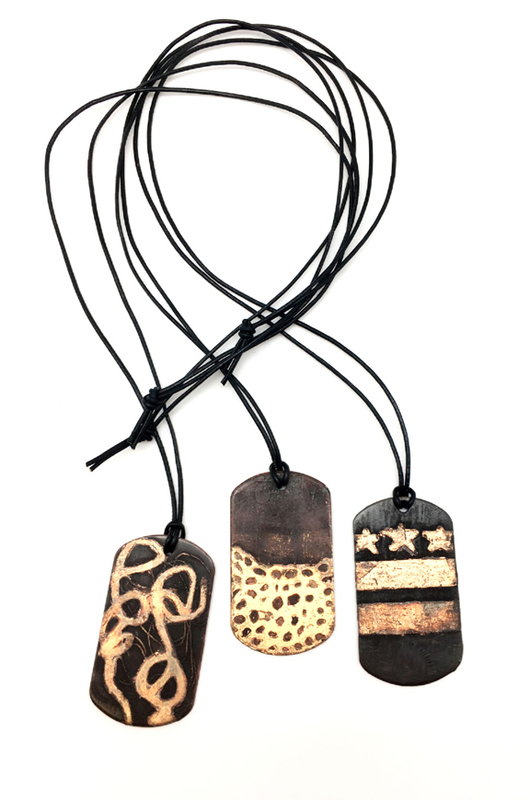 Browse the Modern Makers products on Museum Shop’s website, including the limited-edition etched dog tags by Sharlaine Anapu. Browse #NMWAMakers on Twitter to see more creations. Printed Wild features a line of handcrafted goods with patterns inspired by nature. Eva Calonder fashions accessories like pouches, clutches, and tote bags as well as home décor products. 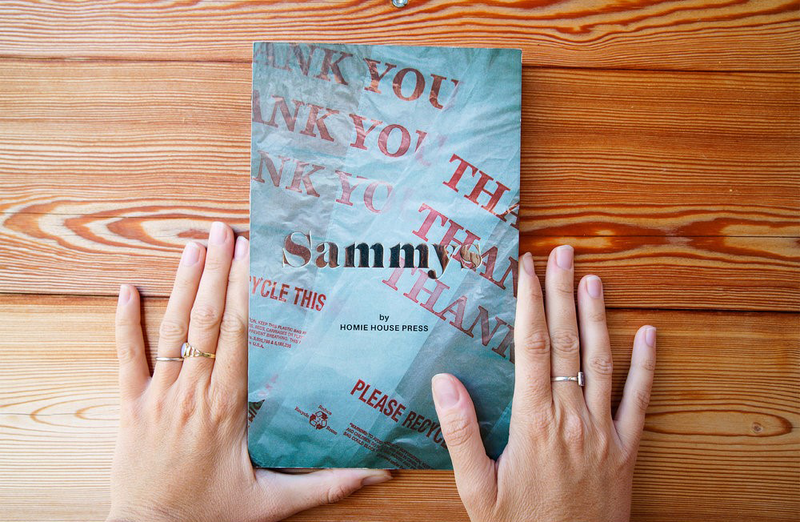 I worked as a graphic designer and freelance illustrator for several years. I had the opportunity to re-think my career. I decided to combine my love for patterns and design into something more crafty. So I took classes at the Corcoran School of Art. I took sewing classes at Bits of Thread, a local sewing school, and then I registered for my first craft fair at the Hillyer Arts Space. I think I was always more interested in making crafts than buying things. As far back as I can remember, my sisters and parents mostly received handmade presents from me. My main inspiration is nature. I spend a lot of time observing it to create patterns. I use Micron pens with very fine points to achieve the level of detail I’m looking for. I’m also influenced by trends in fashion. Because my drawings end up on bags, I try to pay attention to the latest accessory looks. There are so many strong and wonderful business women in Washington, D.C. Going to markets and meeting the makers is truly empowering. Share tips and support each other! I always start from an original drawing for my patterns. I cut stencils, carve linoleum blocks, and draw very intricate nature scenes. 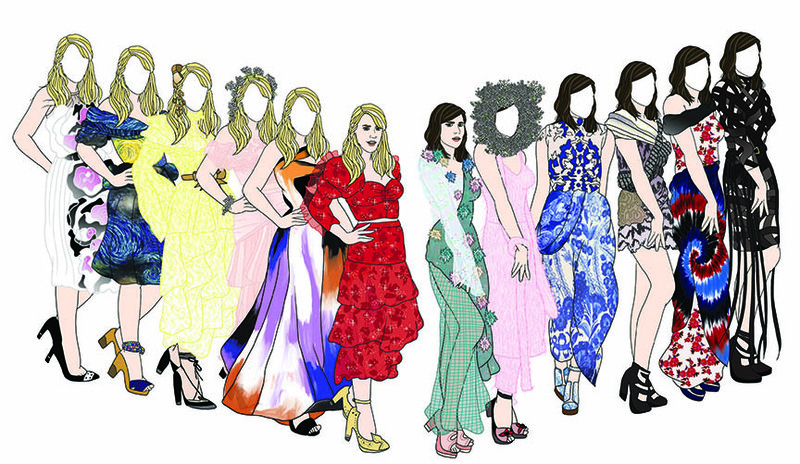 After I have my design, I scan the pattern and edit it in Photoshop. Then the final design is transferred onto a silk screen. I also make all the bags for my designs, which involves cutting fabric or leather, ironing, and sewing. I discovered Elizabeth Adela Stanhope Forbes’s work. She and her husband opened an art school in 1899 to encourage artists to paint directly from nature. I also loved May Stevens’s SoHo Women Artists, which portrays an incredible group of New York City-based women artists from the 1970s. It’s an era that I would have liked to experience—plus, Stevens paints absolutely gorgeous patterns! I decided to go with what I do best, which is designing patterns inspired by nature. I drew directly from May Stevens’s painting in the museum’s galleries. I combined the patterns I saw in the painting and created one wild pattern. Browse the Modern Makers products on Museum Shop’s website, including the limited-edition large foldable clutch and slim clutch by Printed Wild. 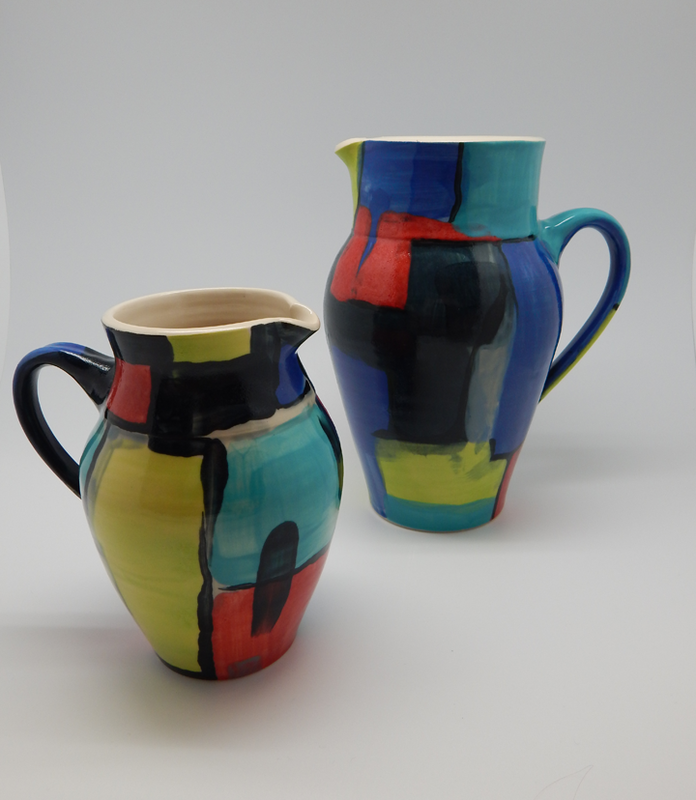 Browse #NMWAMakers on Twitter to see more creations. 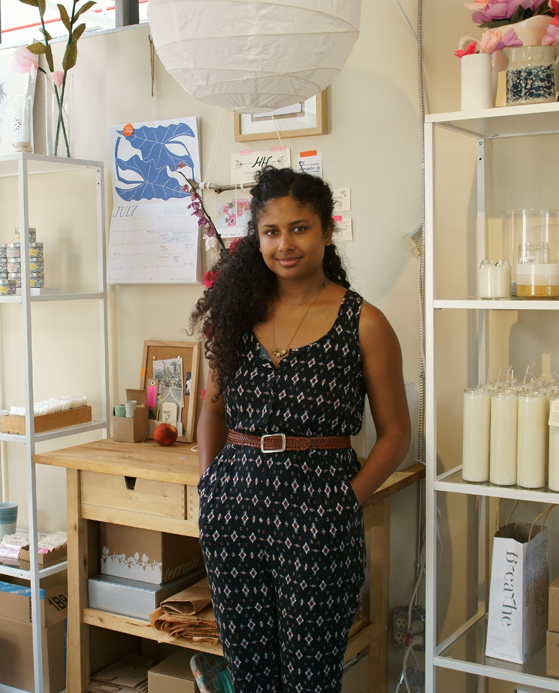 Katie Stack owns the studio and retail shop of Stitch & Rivet. 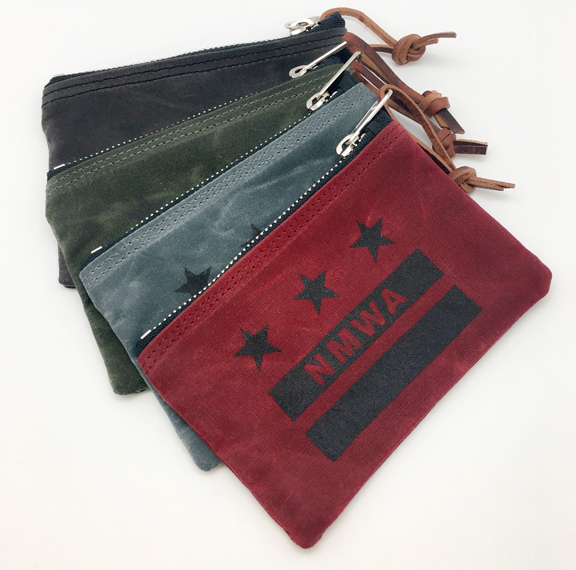 Based in Washington D.C., Stitch & Rivet is a canvas and leather bags and accessories company. 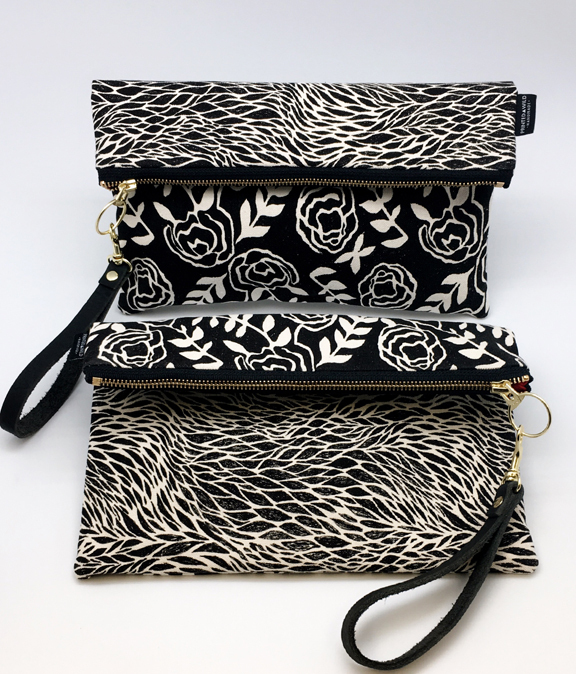 The business offers a collection of handmade products, including handbags, unisex wallets, belts, small pouches, and other items for everyday use. Being a maker means, to me, the act of creating with your hands. I started making things as a small child. My parents tell stories about me in the middle of the night. They would get up and hear me making noise in my room and they would come in and say, “What are you doing?” . . . and I would say, “I am making things.” When it came time for me to go to college I studied costume design and pattern making and started making things professionally. At Stitch & Rivet I get my influences for the designs from customers. Customers come in and say, “Hey! I am looking for this thing that does this and I can’t find it anywhere. 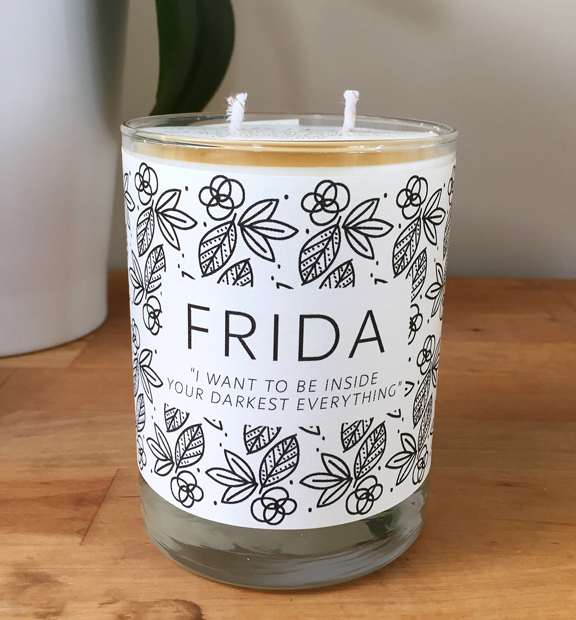 What would be your take on it?” I do a lot of my work based on my desires for products that I’m not finding in the marketplace. I like to design things that are useful and have a lot of functionality. My favorite work from NMWA’s collection would have to be one of the Alma Thomas paintings. She was an artist who worked in Washington D.C. and I admire how she used color in such an impactful way. 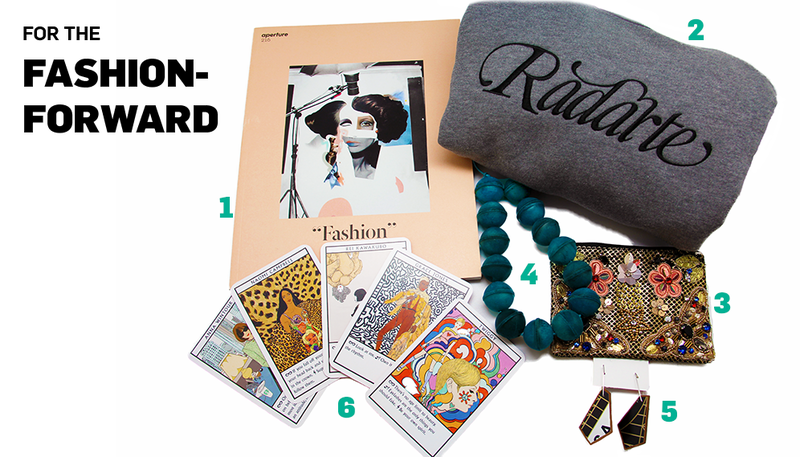 Can you name a woman artist who inspires you? The female artist that has inspired me the most is Julie Taymor. 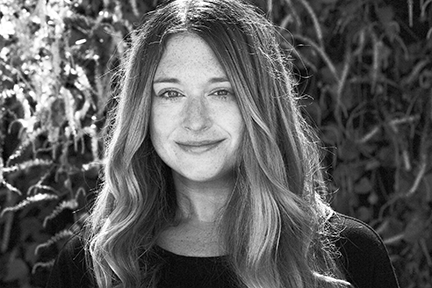 She is a costume designer, director, and puppet maker. I saw her speak when I was a freshman in college. I was very impressed that she was a woman working in a male-dominated industry. What inspired the NMWA limited-edition product? 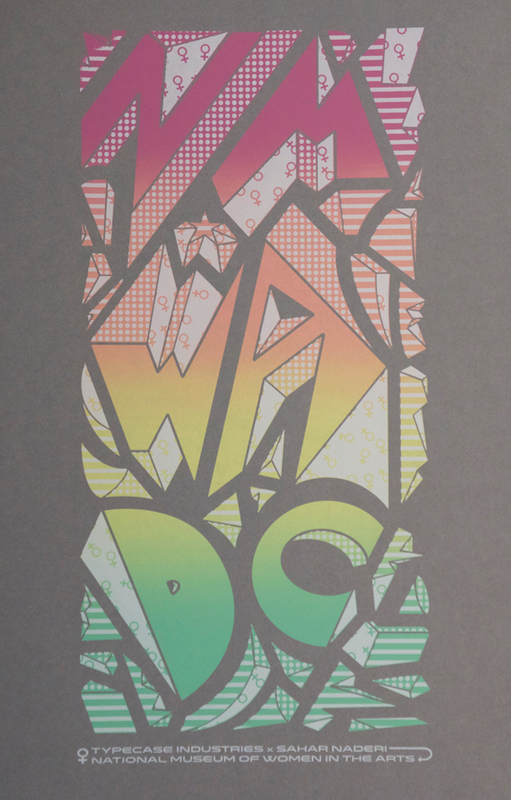 The NMWA limited-edition product was inspired by the burgeoning Made in D.C. project and the museum itself. The National Museum of Women in the Arts focuses entirely on women’s achievements and this small pouch is a product that we designed together to support that important work. It is important for us as a society to inspire young female artists to continue to produce work and to find their own voices. We should help female artists express themselves creatively and assertively. Browse the Modern Makers products on Museum Shop’s website, including the limited-edition waxed-canvas utility pouch by Stitch & Rivet. 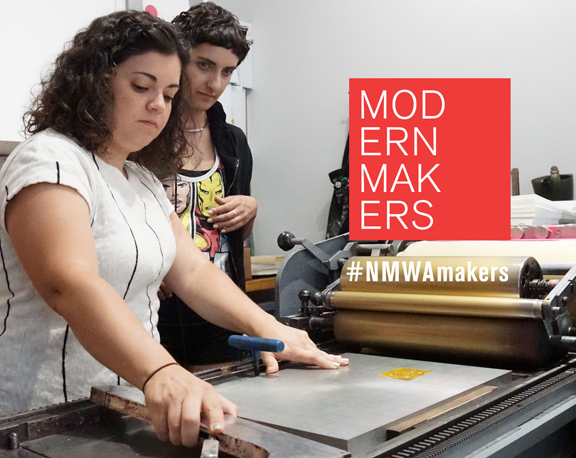 Browse #NMWAMakers on Twitter to see more creations.